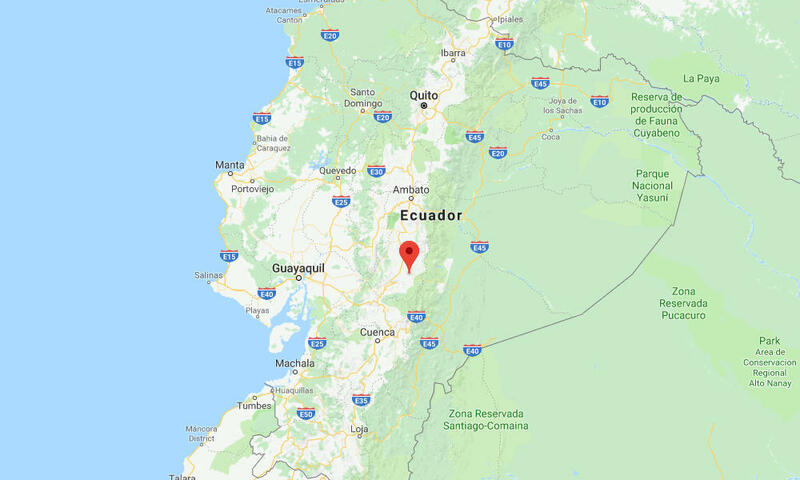 A strong earthquake with a preliminary magnitude of 6.2 has struck central Ecuador, centered in an area east of Guayaquil and north of Cuenca. There were no immediate reports of serious damage. The earthquake, which struck at 9:12 p.m. local time on Thursday, was centered in a mountainous region about 16 kilometers (10 miles) southwest of Alausí, or 62 kilometers (39 miles) north of Cuenca. The U.S. Geological Survey put the preliminary magnitude at 6.2 with a depth of 93 kilometers (57 miles), making it a somewhat deep earthquake. Ecuador’s seismological agency put the magnitude at 6.6. Strong shaking was felt near the epicenter, and tremors were felt as far away as the capital Quito, but there were no immediate reports of serious damage. Scores of buildings were evacuated. Computer models from the USGS estimate that up to 26.6 million people may have felt light shaking from Thursday’s earthquake. “There is a low likelihood of casualties and damage,” the USGS said.